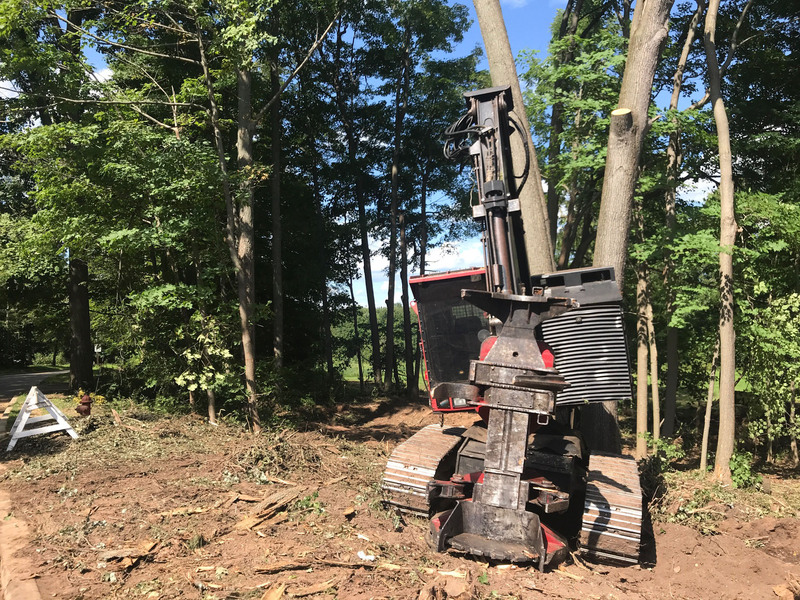 At last, work is underway on the multi-use trail adjacent to Long Lane, from the Long Hill Road soccer field to the corner of Long Lane and Wadsworth Street. The contractor is DeRita Construction Company. While the original plan envisioned a 3-mile multi-use trail from the Wesleyan Hills development to downtown, the project was scaled back for a variety of reasons and divided into phases. This first phase of the trail will serve primarily residents in a variety of housing developments just south of Wesleyan University who wish to bicycle, walk, or run along Long Lane between Long Hill Road and Wadsworth Street, where there are no sidewalks. The path will be 10 feet wide in most cases, paved with asphalt. Most of the work will be completed this fall, but some details, such as final landscaping, will need to wait until next spring. The Jonah Center has been the community advocate for this project since 2011 when it was partially funded by a federal grant of $400,000. This cost of this section of the trail will be approximately $1,045,000, not including time spent by City staff. 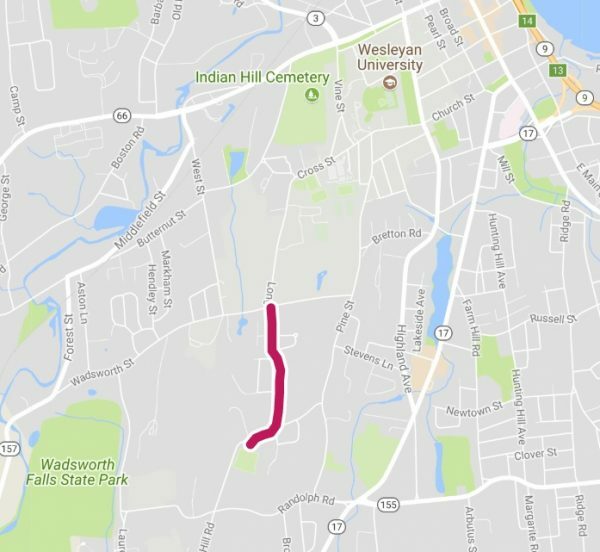 The image below shows the location of the new trail section, most of it parallel to Long Lane between Long Hill Road and Wadsworth Street.